I rode a train for about a mile, when I was a little kid- a passenger train. I can remember the reddish hardwood interior of the car, and the hard wooden benches we sat on. I'd like to take a winter train ride through Canada. That sounds like it would be fun LFF. Maybe you could stop and say hello to our Canadian friends. Glad E Olah wrote: That sounds like it would be fun LFF. Maybe you could stop and say hello to our Canadian friends. T'm afraid I won't be able to afford traveling to Georgia,next month, but maybe, by next winter, I'll be able to travel. 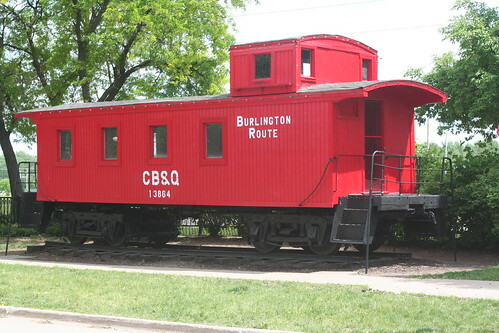 Anyone remember the red caboose?